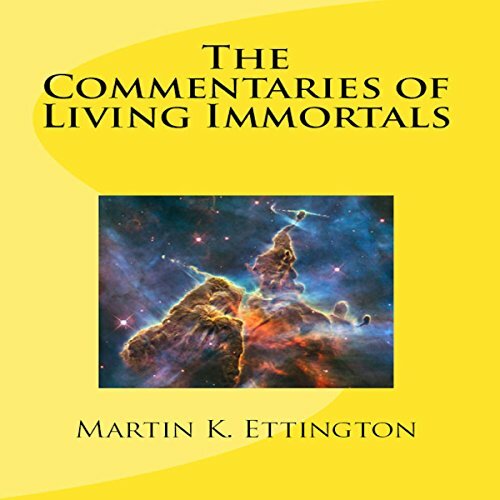 This is an audiobook about living immortals in their own words. Yes - I mean that - people who are hundreds if not thousands of years old are living in our world today. Their commentaries come from a discussion board I have been using for a couple of years to market my earlier book: Physical Immortality: A History and How-To Guide. "I have met over 170 other immortals dating from 20,000 years old to 110 years old, from around Earth. Gods are in another league. I have met 15 Gods/Godesses...most are norce/celtic Gods.There is at least 2,000 of us out of your 7 billion humans doing the exact same as me ie jobs/names some still hide in mountains and forests." Do I believe all of this? I do have some skepticism, but even if it’s not true it is a great story. If true - it is one of the greatest revelations of all time.